Sarah, an eighth-grade student, spent a morning shadowing engineers in our North Little Rock, Arkansas office. 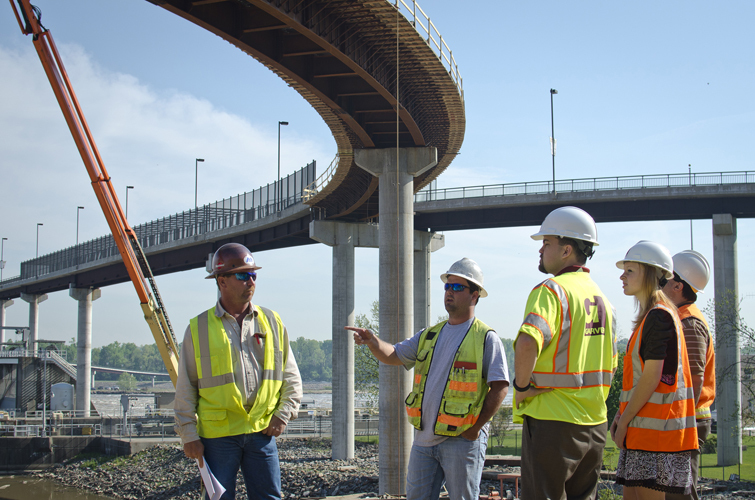 Her experience included visiting the Big Dam Bridge to see the southwest approach under construction. Sarah said she is interested in civil engineering and hopes to build bridges one day. Before taking her to the Big Dam Bridge to see Garver's engineering project, (which adds a 1,149-foot-long, 10-span approach to the pedestrian bridge), Garver engineers A.J. Khairi and Fred Harper shared the project drawings with her. Then during the construction site tour, A.J. and Fred explained how the project plan sheets correlate to various construction aspects, including pier foundations, steel girder fabrication, and construction costs. "Sarah had an incredible time this morning," Sarah's mom shared in a thank-you note. "She has been talking about it non-stop since I picked her up! I really do appreciate the amount of time your engineers spent with her and the impact it had. It was clearly a great educational opportunity for her." 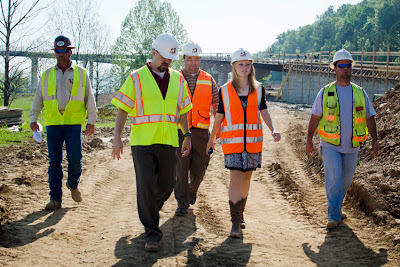 In addition, Sarah spent time shadowing various engineering disciplines, including structural, bridge, traffic, hydraulics, and roadway. Garver employees who volunteered their time included Claire McKinney, Annette Porter, Madison McEntire, Adam Hall, Adam Wierciak, and Dustin Tackett. Question: What specific ideas do you have to make sure a job shadow has an interactive and educational experience?